Simply Gluten Free magazine article, originally published on February 15, 2018, reviewing Little's Cuisine Original Chili Seasoning Mix. 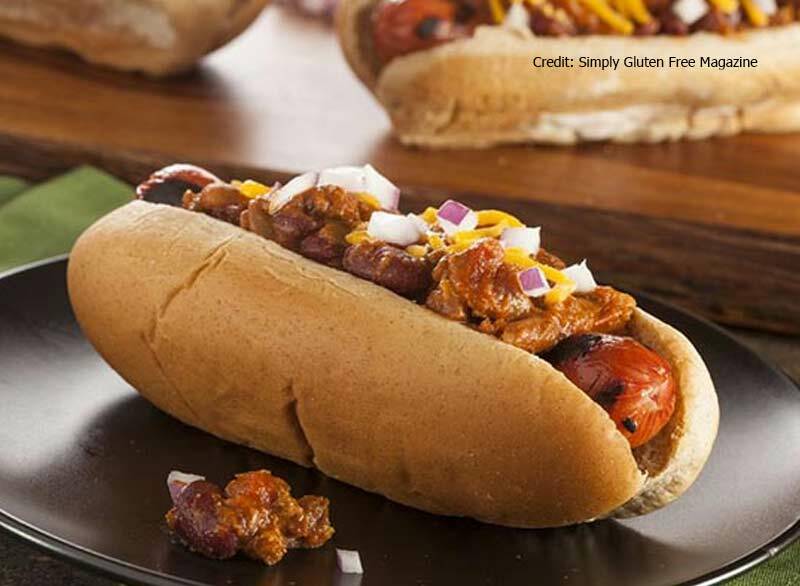 The article features a great Gluten Free Chili Cheese Dog Recipe. The perfect comfort food! "Want to know what I haven’t had in years? … A chili cheese dog! This is probably because I know that the ingredients in most hot dogs are not the healthiest for you. But, times have changed and there are some brands that offer gluten free hot dogs with all-natural, organic ingredients. That said, I recently got a few seasonings from Little’s Cuisine (see my post about their Blood Mary Seasoning Mix here). One of the packets was for their Original Chili Seasoning Mix, so I thought, why not make a gluten free chili cheese dog and satisfy this craving?!..."